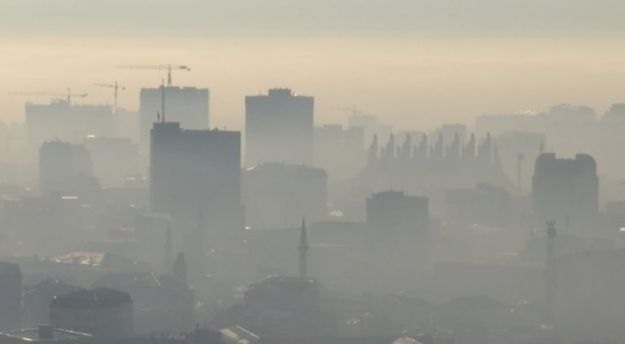 Air pollution in Kosovo has already reached a level of danger for the health. According to official surveys by the United States Consulate, these days Pristina has the highest level of air pollution in the world. As a result of the high level of air pollution, the number of patients seeking medical treatment has increased, especially those with chronic illnesses, including children. Only in the Emergency Clinic at the Clinical University Center of Kosovo, more than 140 people sought medical help within 24 hours. Basri Lenjani, director of the Emergency Center, says that these patients after being treated to the emergency are refered to the relevant clinics, mainly in Pulmology and Cardiology. "The pathology of chronic diseases predominates, cardiological, neurological and pulmonary diseases that have recently emerged as a result of climate change and air pollution". The Pulmonologist Rukije Mehmeti told to Oculus News that there is a significant increase in the number of patients with lung problems in recent months. Only during November this year 1046 patients required medical assistance at the Pulmology Clinic. "Environmental pollution affects all chronic illnesses and exacerbates their health condition. This also costs the state a lot, as almost everyone is hospitalized and the state pays for them. Unfortunately, even the children are affected by environmental pollution and for this situation should be raised the voice." Mehmeti said. The United Nations (UN) latest report warned that air pollution causes the deaths of 7 million people worldwide each year, while 92% of nearly 4 billion people in the Asia-Pacific region are suffocating toxic air. Meanwhile, around 600,000 children worldwide die annually of polluted air, according to a report by the World Health Organization.